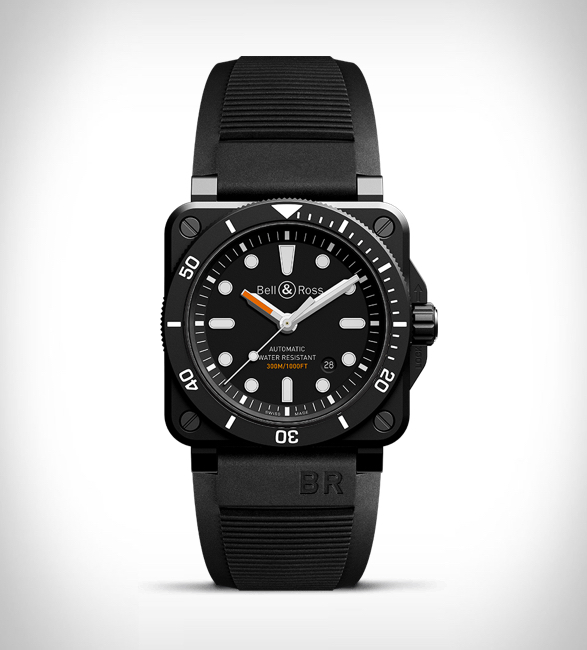 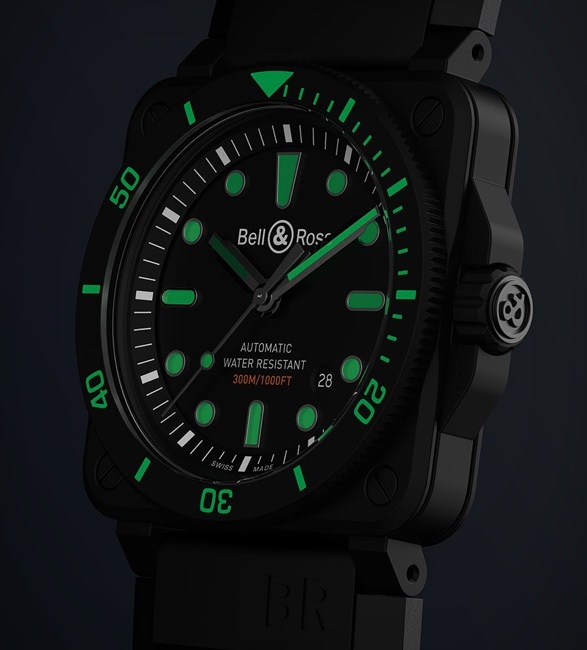 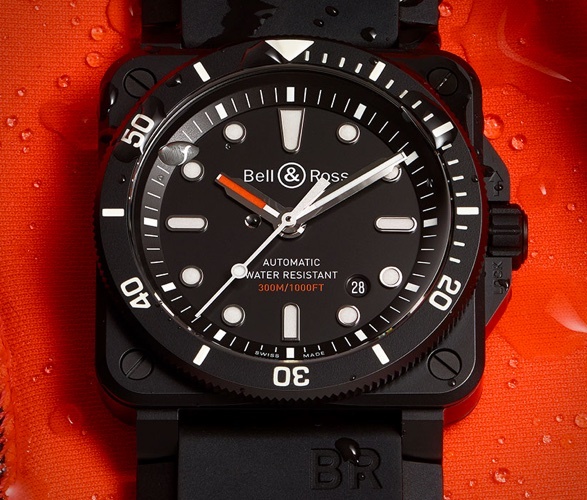 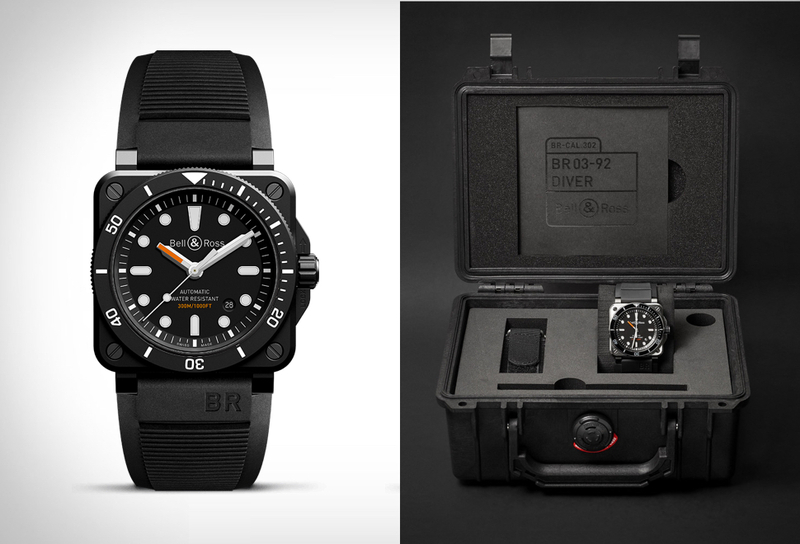 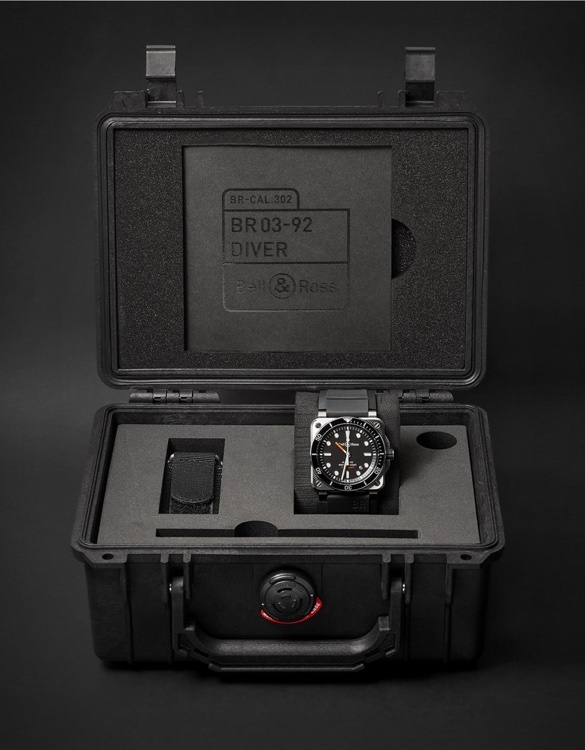 Prestigious watch makers Bell & Ross have introduced a new matte black version of their dive watch with a full ceramic case. 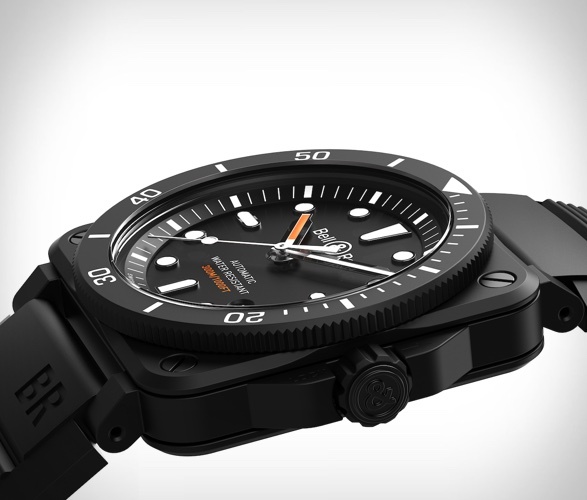 The 42mm case and bezel are all-black ceramic, interspersed with white markings, minute markings on the bezel and Super-LumiNova for the hour indices and hands. 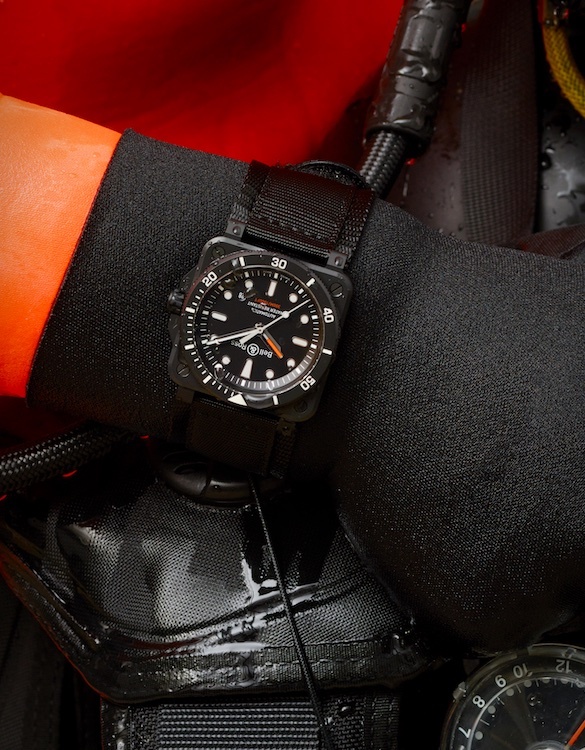 For a little color, the hour hands are painted with orange Super-LumiNova, as is the depth rating at 6 o´clock. 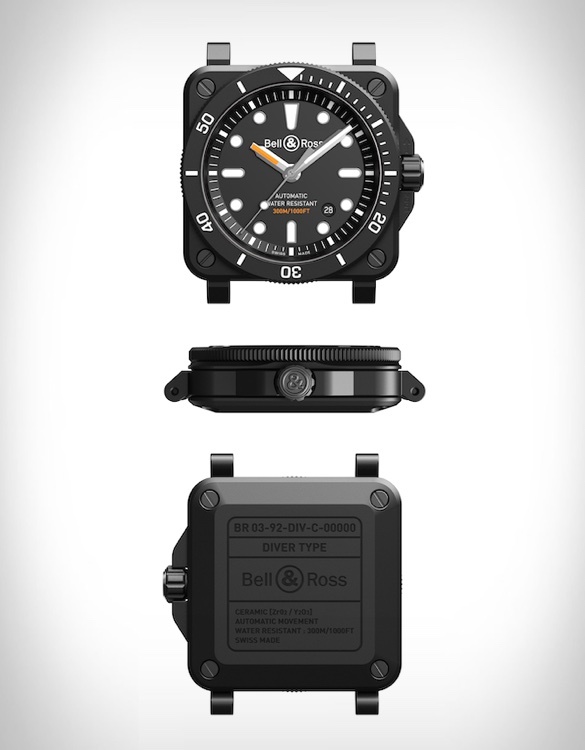 This makes the watch highly legible and also striking to look at. 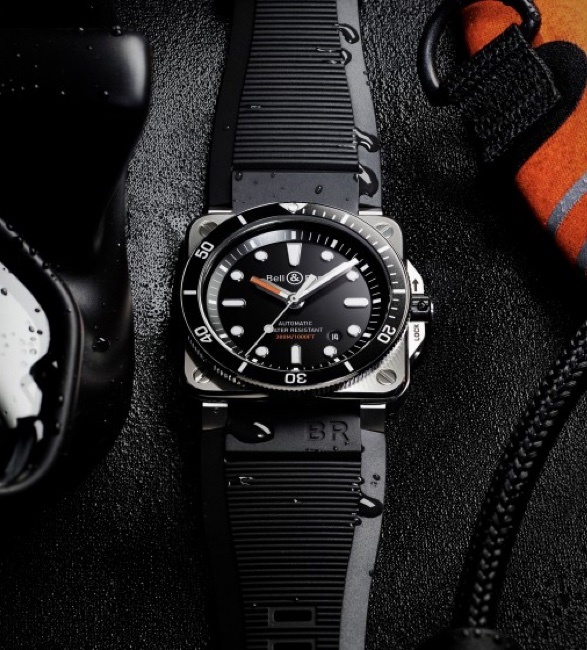 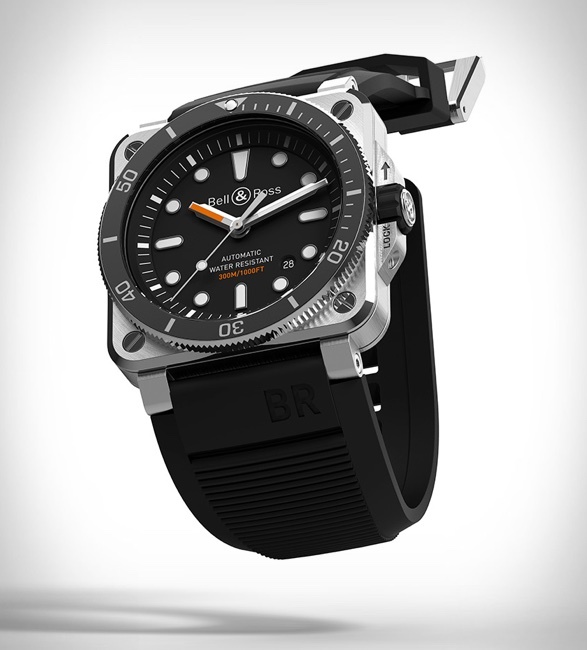 The BR 03-92 diver watch has a 300 metres depth rating and comes with two straps, one in woven black rubber and one with ultra-resilient black synthetic fabric. 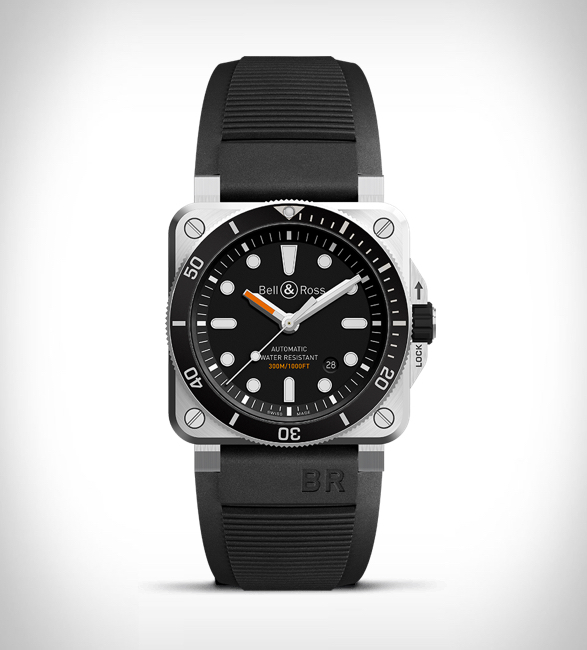 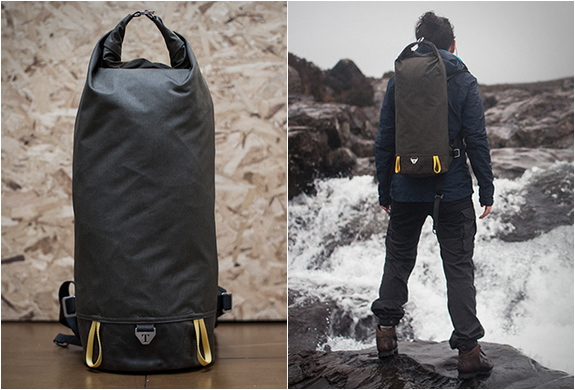 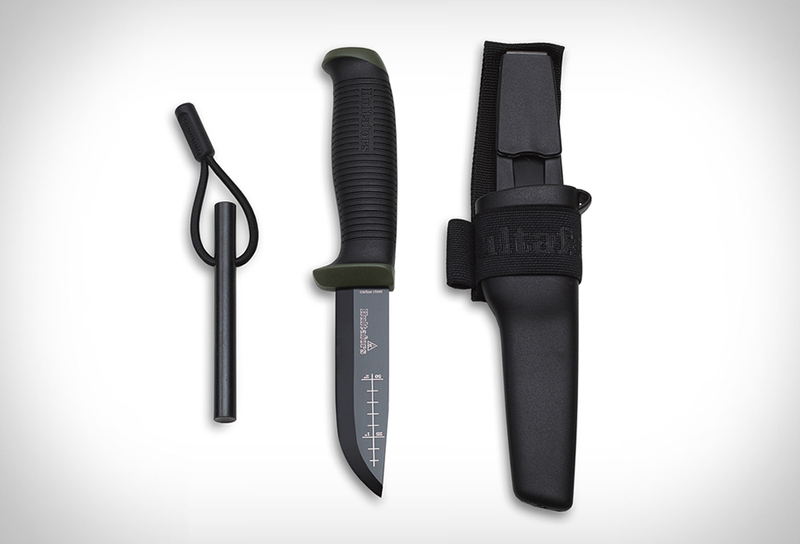 Also featured is the stainless steel version.